The Myint Hsar family will soon be homeowners, just four years removed from living in a refugee camp in Thailand. A partnership between Habitat for Humanity of Orange County and the Town of Chapel Hill is helping make this happen. After completing 9 homes in the Northside Neighborhood in 2016-2017, Habitat for Humanity of Orange County is excited to be returning to the neighborhood to build a home on McMasters Street for the Myint Hsar Family. The lot on McMasters Street was donated to Habitat by the Town of Chapel Hill in the late 1980’s. Habitat was not able to build on the lot because it was not connected to public sewer. 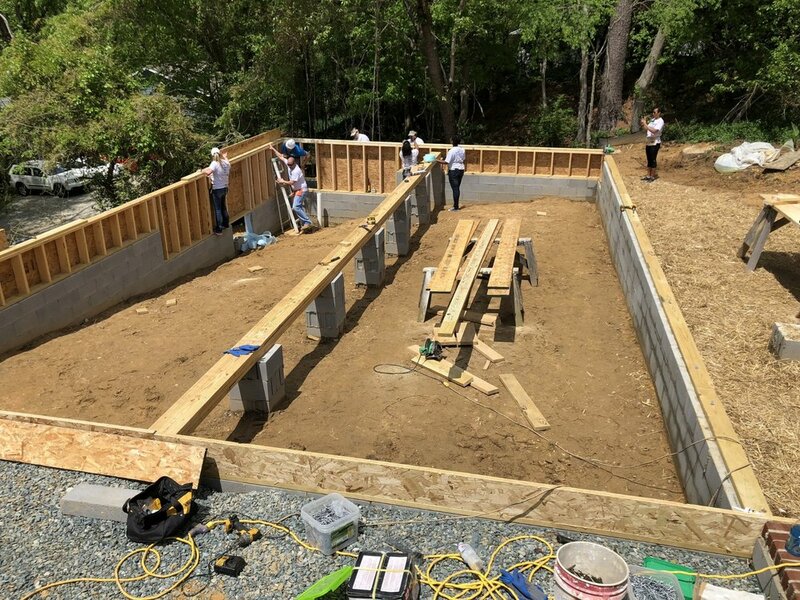 Thanks to funding from the Town’s Affordable Housing Development Reserve, Habitat was able to work out a way to connect the lot to public sewer, and create an affordable housing opportunity in partnership with the Myint Hsar Family. Meet our current McMasters homebuyer; the Myint Hsar Family. Adult sisters Hsar Kapru Paw and Hsar Kapru Moo live with their parents in Carrboro; Hsar Kapru Paw works at UNC through Aramark and Hsar Kapru Moo is a student at Durham Tech. They are grateful for the opportunities they have had since moving to America from a Thailand refugee camp in early 2014. The apartment they are currently renting is not only unaffordable, but rundown and unsafe for their elderly parents. They have mold growing in the bathroom, the air/heating system does not work properly, the roof has multiple leaks in it, and the landlord is uncooperative in fixing anything. Construction started on this home in early 2018 with a groundbreaking ceremony and discussion with Habitat for Humanity International CEO Jonathan Reckford. Having grown up in Chapel Hill, he is passionate about the affordable housing crisis in Orange County. “The reward for doing good is the opportunity to do more; I am delighted to hear that Chapel Hill has a serious plan to sustain affordable housing.” said Reckford. Most weekday mornings, you will find Helena walking to work at UNC School of Public Health from her Northside home. Helena loves being able to walk to her job, where she has worked for the last 10 years. Helena and her three sons moved into their Community Home Trust home on a Saturday in late August 2017. 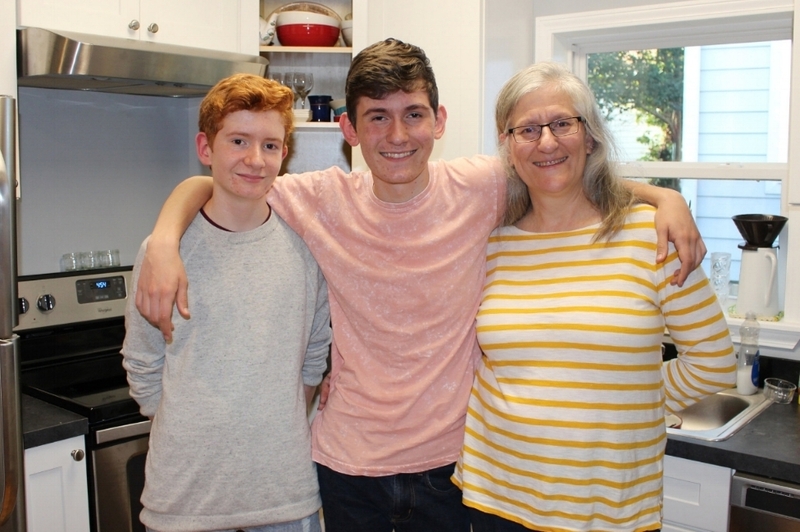 Before Helena and her sons could call Chapel Hill their home, a modest house in the Northside Neighborhood was in need of a new owner and some major renovations. Thanks to the Marian Cheek Jackson Center, the house was identified as a good prospect for the Northside Neighborhood Initiative. Self-Help Credit Union purchased it into the land bank and renovated it. Community Home Trust then used subsidy funding from the Town of Chapel Hill and the North Carolina Housing Finance Agency to make the home affordable. The renovated home met the SystemVision™ high energy efficiency standards, which made it eligible for additional subsidies as well as a two-year heating and cooling bill guarantee. Helena and her boys love their new home. They like the coziness of it and the open floor plan in the common area, where family members are drawn to being together. Evenings will find Helena in the kitchen cooking and the boys on the couch or at the dining table working on their homework and/or listening to music. Steven holding the keys to his new home! Steven was homeless for 13 years, living in a tent in the woods for much of that time. During this time, he was able to build a network of support in Chapel Hill, including local pastors, student leaders at UNC, his Advocates at the Community Empowerment Fund, his social worker at UNC Center for Excellence in Community Mental Health, his therapist at Freedom House, and many more. Surrounded by a team of supportive people, Steven started on paths toward financial stability, income, and housing. Finally, all of his work began to pay off. First came housing. In May 2017, Steven received a letter in response to his application for a Section 8 Housing Choice Voucher. Steven was so nervous that he came to CEF and had his Advocate open the letter for him. When they read his acceptance letter together, the whole CEF lobby cheered! In an interview just after the call Steven said, “Pinch me to make sure I’m in the right century because it’s hard to believe this is actually moving forward!" Finding housing with a Housing Choice Voucher can be a daunting task in Chapel Hill. There are a variety of barriers for low income families seeking to remain in Town, including the lack of an adequate housing stock accepting vouchers or renting at affordable rates. Steven worked with his Advocates and connected with a landlord renting a comfortable basement apartment in town who was so taken with Steven and his story, he offered to sign a multi-year lease upfront! To sign the lease Steven needed funds for his security deposit. To help address issues like this, the Town of Chapel Hill created the Rental Assistance Program in 2014. The Community Empowerment Fund applied on behalf of Steven and was awarded the funding needed for his security deposit! Some of the many guests from his community at Steven’s housewarming party. 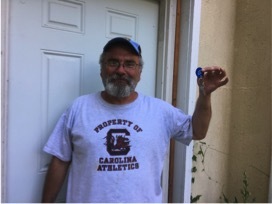 The deposit assistance from the Town of Chapel Hill was such a relief for Steven, helping him to sign his lease and move out of homelessness into his new home. "I (don’t) have to be concerned with where I am going to be anymore…where I’m going to lay my head, or what’s going to happen”, said Steven. To celebrate his success, Steven threw a housewarming party and invited all his friends and advocates to his new apartment. It’s wonderful to see Steven in a home of his own! Completed in spring 2018, the Pee Wee Homes “tiny-plex” (a tiny home duplex) at 601 Craig Street is located in the heart of the Northside neighborhood. This new construction duplex provides high quality housing for extremely low income (<30% AMI) people who are moving out of homelessness, and features approximately 320 thoughtfully designed square feet per unit. These homes were developed as an innovative collaboration among multiple nonprofit collaborators: Pee Wee Homes, who proposed the concept, manages the units, and will own the duplex in the future; Habitat for Humanity, which served as the general contractor utilizing volunteer and professional labor; Self-Help, which in partnership with the Marian Cheek Jackson Center originally acquired into the Northside Land Bank the property on which the duplex was developed, monitored construction, and currently owns the property; the Community Empowerment Fund, which coordinates with Pee Wee Homes to provide tenant referrals and supportive services; and Northside neighbors, who helped interview/screen prospective tenants and have warmly welcomed the tiny-plex’s first residents into the neighborhood. Financing partners include the Town of Chapel Hill and the Oak Foundation, as well as the family who originally owned the land and sold it at a reduced price in order to support affordable housing efforts. The units rent for approximately $200-350/month depending on household income, and provide safe, comfortable, energy efficient permanent supportive housing in close proximity to transit, jobs, goods and services.